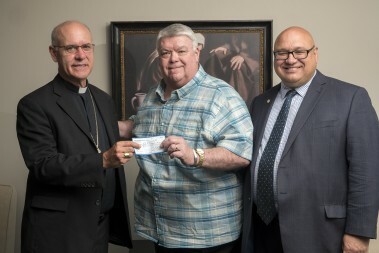 John Becker and John Faylor, representatives of Worldwide Seminarian Support, presented Bishop Kevin C. Rhoades a check to assist with local seminarian support for the Franciscan Friars Minor. Since October of 2015, the group has raised $32,000 in local seminarian support. “It’s a real blessing to know that we are helping young men and their vocation to the priesthood,” Becker stated. 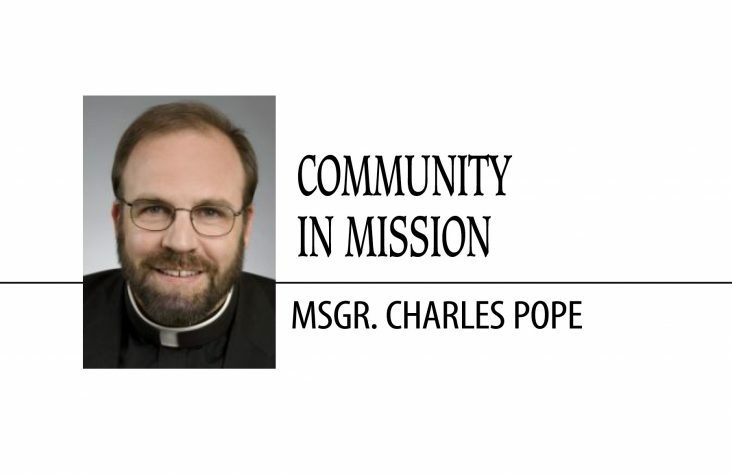 The group’s motto is Change the World, One Priest At A Time. SOUTH BEND — Six South Bend congregations — First United Methodist, First Unitarian, Islamic Society of Michiana, Kern Road Mennonite Church, Olivet African Methodist Episcopal Church, and St. Anthony de Padua Catholic Church — have recently installed solar panels. Like twenty-one other congregations across Indiana, they have committed to reducing energy use in their houses of worship by 25 to 40 percent or more and to engage their members to reduce by a seventh at home. St. Anthony invited members of the public to a solar celebration on Saturday, June 11th. The event drew people from several local Catholic schools and churches, eager to learn more about how to advance their own environmental stewardship goals. DONALDSON — In honor of recognizing the achievement of the area’s alternative education students, Ancilla College is awarding their “Ancilla Alternative Achievement Award” to two students from the Crossing School of Business & Entrepreneurship who persevered to overcome hardship with extraordinary effort. Both students will begin classes in the fall. Amos Howard of Goshen and Joshua Geldner of South Bend have dedicated themselves academically and have been accepted into Ancilla College. Geldner plans on pursuing a degree in business while Howard is debating between Nursing or Criminal Justice. Ancilla College will invest a full-tuition scholarship valued at just over $14,000 and another scholarship valued at $10,000 for the young men to use towards earning their degrees. For many alternative education students, receiving a scholarship of this nature would seem unlikely and sometimes even impossible. Ancilla College sees things differently. SOUTH BEND — Two Indiana non-profit corporations, Safe Haven Baby Boxes, Inc., and The Life Center, are partnering to save abandoned babies in South Bend. In addition to partnering with Safe Haven Baby Boxes to promote the Safe Haven Law, The Life Center announced today that The Life Center would be one of several sites for a Safe Haven Baby Box in St. Joseph County. The baby box to be installed at The Life Center is in production and is all but complete. DONALDSON — Ancilla College, 20360 9B Rd., will have an open house and blessing ceremony for a second residence hall and the dining hall/student life center Monday, July 18, at 3 p.m. Most Reverend Bishop Kevin Rhoades will bless the buildings. Refreshments will be served and tours will be available. On Wednesday, June 29, Bishop Kevin C. Rhoades visited Catholic Youth Summer Camp (CYSC) and celebrated Mass with 44 campers from 18 parishes and 20 volunteer staff on the grounds of Camp Lutherwald in Howe, Indiana. Afterwards, he joined the camp for lunch, autographed the campers’ name tags and campsite flags. He enjoyed listening to them sing the theme song, Land of My Father by Matt Maher, while playing a catchy rhythm on their Ashika drums. 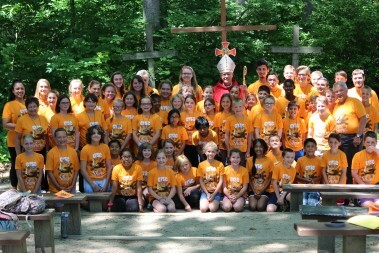 The campers shared a unified recitation of the Scripture, Matthew 5:14-16, reflecting the theme of the CYSC 2016 – Shine! IRONDALE — EWTN Global Catholic Network’s live coverage of World Youth Day 2016 airs July 26-31 from Kraków, Poland with Father Mark Mary Cristina, MFVA (”Life on the Rock”); Chris Stefanick (“Real Life Catholic,” “The Gospel Unplugged”); and “Chastity Project” and “Totus Tuus Press” founder Jason Evert. The team will be bringing viewers the sights and sounds of Kraków, along with interviews with young people attending WYD, to both EWTN television and radio. 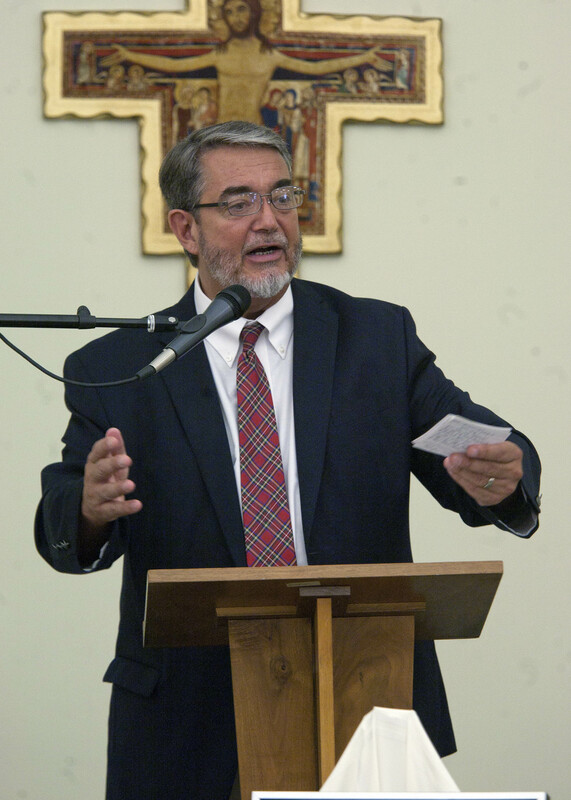 Spanish coverage will be provided on the Network’s U.S. Spanish-language channel EWTN Español and on the Network’s international Spanish-language radio service, EWTN Radio Católica Mundial, and will feature Padre Agustino Torres CFR and Silvia Mariella Diaz. 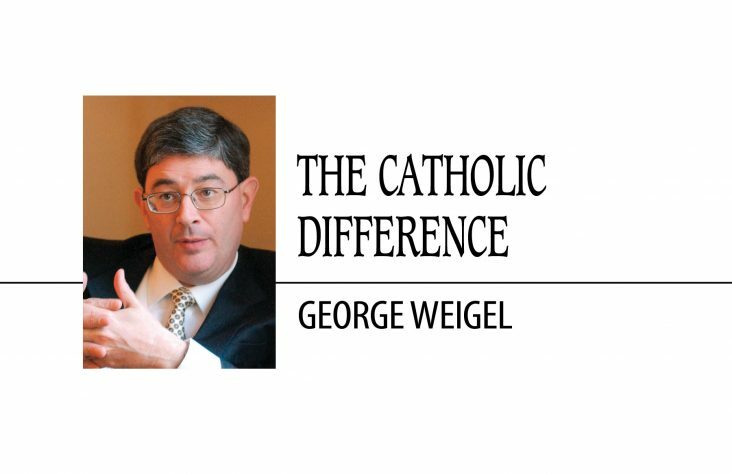 In addition to EWTN’s television and radio coverage, viewers can tune in via live streaming on EWTN’s website or via EWTN’s free smartphone app. On the web, www.ewtn.com/wyd is the go-to place for all things World Youth Day. The mini-site will include the dates and times of all the events being broadcast, news articles about WYD from EWTN’s news services, transcripts of the Pope’s speeches, “On Demand” replay of events, a special app that will give viewers a 360 degree view of various sites around WYD, and a link to all of the above in Spanish. 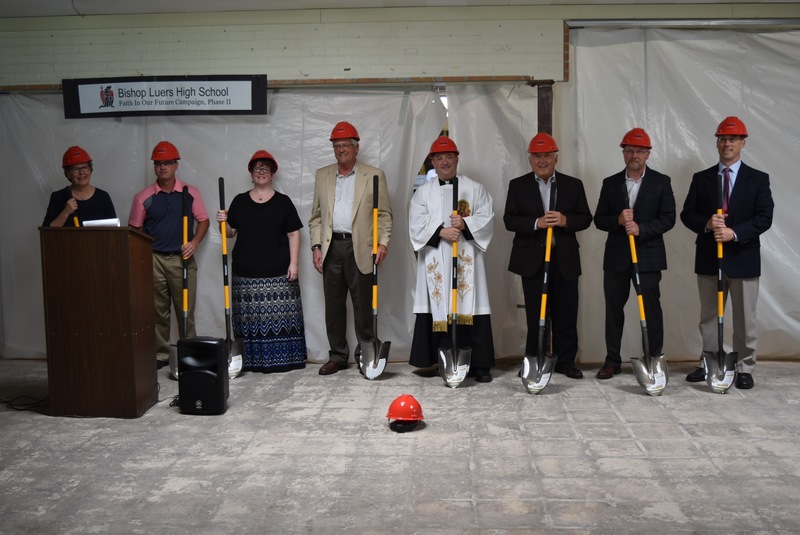 Dignitaries gathered on June 23 as Bishop Luers High School held a groundbreaking ceremony for the new Chapel of St. Francis and media center. From left are the following: Marsha Jordan, superintendent of Catholic Schools; Doug Kinder, contractor; Tiffany Albertson, principal; Greg Leatherman, representing the City of Fort Wayne; Father Andrew Budzinski, pastor of St. John the Baptist Parish, Fort Wayne, who offered the prayer and blessed the construction site; Jerry Henry, who with his wife, Becky, co-chair the ongoing Faith in Our Future Phase II Capital Campaign; Jim Hoch, architect with Hoch and Associates; and Carl Loesch, Secretary of Catholic Education for the Diocese of Fort Wayne-South Bend. The ceremony included pulling down the plastic wall in the background to mark the beginning of the chapel and media center construction. SOUTH BEND — St. Therese Little Flower Parish is preparing to celebrate the first feast day of Sts. 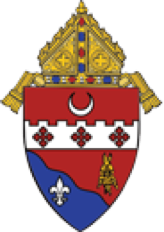 Louie and Zelie Martin on July 16 and 17 with a special installation of first class relics. The newly canonized saints are the father and mother of St. Therese, the patron saint of the parish and were officially canonized on October 18 of 2015, but their first feast day is July 12, their wedding anniversary. Sts. Louie and Zelie are the first couple to be canonized together. This is unique as other couples such as St. Isidore the farmer and St. Maria de la Cabeza are both saints individually but were canonized separately. Father Tom Shoemaker, pastor of St. Therese Parish, pointed out that the Martin’s relics were even in the same glass case together, indicating the special situation of these new saints. The parish was given first class relics of Sts. Louie and Zelie Martin by Bishop Kevin Rhodes. Their installment will be a highlight of the celebration weekend. During the 5:30 p.m. Mass on July 16, and the 9:30 and 11:30 a.m. 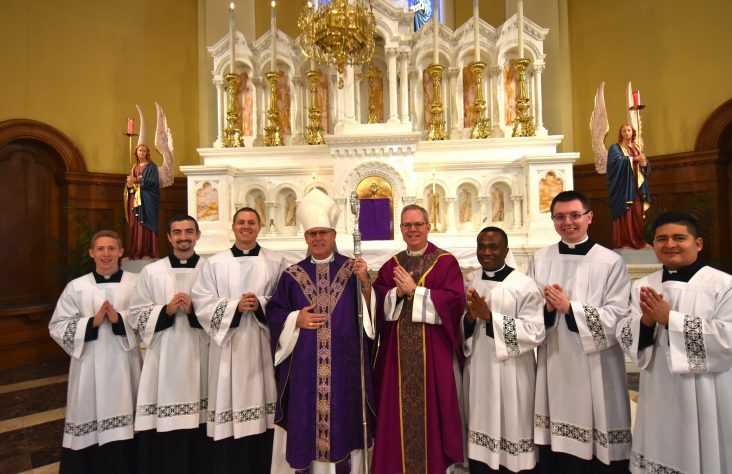 Masses on July 17, the relics will be present on the altar and then enshrined in the newly named “Little Flower Family Chapel,” with a procession following Mass. A family prayer book, written by a Little Flower parishioner and a Martin family prayer card with an icon of the saints, will be given to all in attendance. After the procession all are welcome to join in an authentic 1858 wedding reception. This is the year that Sts. Louie and Zelie Martin were married in the Basilica of Notre-Dame in Alençon, France. There will be a brief reenactment of the wedding ceremony, in costume, an authentic French quadrille dance (a combination of a square dance in a four person minuet style) with music and even wedding cake for all to enjoy. Parishioners have volunteered and created each part of this celebration, from composing the music for the occasion to dance professors instructing the authentic steps to the wedding party to volunteers baking a French wedding cake together. The preparations have been an act of love and gratitude. He understands the Martins as saints who really understand family life. “They went through so many struggles together, truly a family that knew the ups and downs of family life. Yet their faith was there and carried them through. 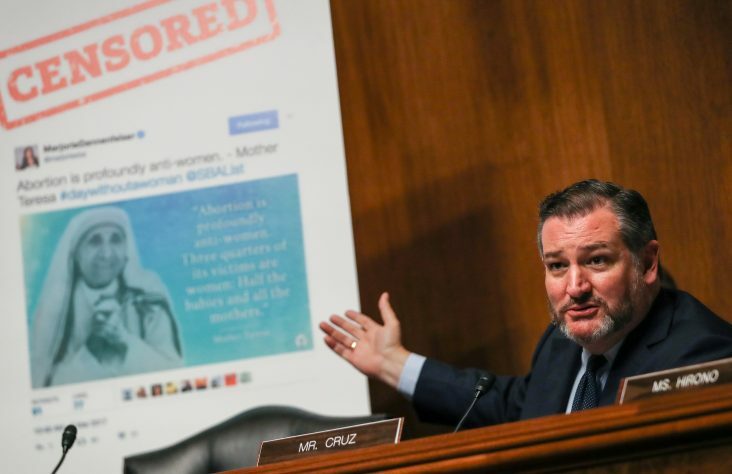 You sure see this in her (Zelie) letters written to family members.” From suffering from breast cancer to losing four children and not able to nurse the others, the Martins lived through real difficulties of parenting. They also ran a business in their home, survived occupation of their home by foreign troops and a war in their country, all while raising their five daughters. FORT WAYNE — The University of Saint Francis has selected Richard Miller to fill the role of program director for its new Computer Science programs, which officially begins in 2016. Miller comes to USF from Parkview Health System, where he worked in Information Systems since 1997. He also has experience in education at both Huntington University and Tri-State University. A graduate of Huntington University, with degrees in both computer information science and mathematics, Miller is excited to be part of the new programs in Computer Information Systems that USF will be offering to students: Game and Application Development, and Cybersecurity. 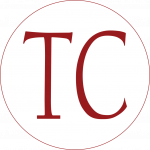 “We are delighted to have Richard Miller join our faculty. He has extensive experience,” said Dr. Lance Richey, dean of the USF School of Liberal Arts and Sciences.